Born: 25 February 1825, Hanover, Germany. Died: 10 October 1871, Javali, Chontales, Nicaragua. Berthold C. Seemann, German-born botanist and traveller, was trained as a gardener before going to Kew Gardens, near London, where he received further training as a plant collector during 1844-1846. In the latter year he obtained the position of naturalist on the Herald, commanded by Captain Henry Kellett, which was sent to the Pacific Ocean on a hydrographic survey. Seemann left England in August 1846 to join the Herald in Panama and explored that country while waiting for the ship to arrive. During the survey he crossed the Andes Mountains in Peru and Ecuador, and travelled in Mexico. The expedition received orders also to investigate the disappearance of an earlier expedition led by Sir John Franklin in search of a north-west passage to the Pacific in 1845. The Herald eventually circumnavigated the earth, returning to England via Hong Kong and the Cape of Good Hope, where it arrived in March 1851. On 13 March Seemann, C.P. Zeyher* (whom he knew) and L.R. Baur* climbed Table Mountain and three days later Seemann accompanied Zeyher on a visit to James Bowie* at Wynberg. At Simonstown Seemann found the weed Xanthium spinosum (Boetebossie) and as it had not yet been recorded by Zeyher it was probably recently introduced. A few years later it established itself as a serious weed in the Karoo. Seemann left the Cape for England on 27 March 1851. 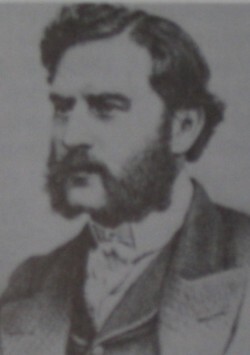 He published the botanical results of the expedition in Botany of the voyage of HMS Herald (1852-1857), which dealt mainly with the floras of the arctic, Panama, Mexico and Hong Kong. His Narrative of the voyage of HMS Herald during the years 1845-1851... (2 vols) was published in London in 1853, with a simultaneous German edition. That same year he was awarded the degree Doctor of Philosophy (PhD) by the University of G�ttingen. Also in 1853 he and his brother Wilhelm started the German botanical journal Bodplandia, which they edited until publication stopped in 1862. Seemann visited North America in 1857 and gradually became more anglicized. He became editor of a new series of the Journal of Botany and continued as joint editor until 1869. Meanwhile in 1860 he had been commissioned, with a Colonel Smythe, to report on Fiji, an island group in the south-western Pacific Ocean. His visit led to the publication of Viti: an account of a government mission to the Vitian of Fijian Islands, in the years 1860-1861 (Cambridge, 1862, 447p) and Flora Vitiensis: a description of the plants of the Viti or Fiji Islands (London, 1865-1873). In 1864 he was commissioned by a firm in Amsterdam to report on the natural resources of Venezuela. In 1866 and again in 1867 he went to Nicaragua for the Central American Association. There he became managing director of the Javali goldmine in the Chontales region, while also managing a sugar estate in Panama. He died from an attack of fever when visiting the mine in 1871. Seemann was elected a Fellow of both the Linnean Society (1852) and the Royal Geographical Society. During all his travels he collected and studied plants and is credited with introducing several species of palms and other plants to cultivation. He wrote Popular history of palms and their allies... (1856), which was also published in German, History of the Isthmus of Panama (1867), and almost 100 papers, mainly on the botany of the regions he had visited. The genera Seemannnia, Seemannantha and Seemannaralia were named after him. Specimens he collected are in the herbaria of Kew Gardens; the Natural History Museum, London; the Botanischer Museum at Berlin-Dalheim, Germany; the Conservatoire et Jardin botaniques, Gen�ve; the Naturhistoriesches Museum, Vienna; and the Royal Botanical Gardens, Edinburgh.